Modular stairs are a simple and economical system of Carbone Quick Stairs, with which you can do stairs immediately to any height and in different ways: straight, L, U, and multiple combinations as needed. 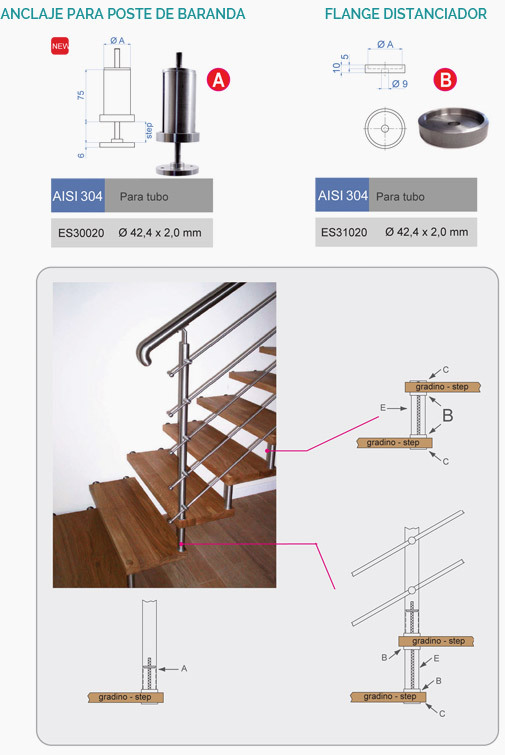 The stairs have a standard width of 1.10 m. This practical system allows you to adjust the height of the steps, cutting the tube of 42.4 mm to the desired size. For the most modern trends we have the safety glass steps of 32.28mm and for those seeking the warmth of wood, we offer beech wood of 45mm thick with natural finish so you can paint it any color you like. This revolutionary system allows finishing stairs fast and at a very low cost. 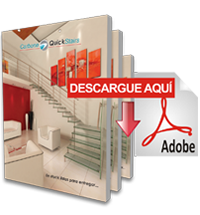 The best thing is that this system is a 100% compatible with the modular railing system that you can find in this catalog. Below are the steps of glass and wood that are kept in stock which are used in a modular way to make any residential, commercial or office staircase with a width of 1.10 meters. Glass and wood have a perfect finish, protected corners with PVC, highly resistant packaging, code marks and measures outside for your convenience.